Aam papad is such a product that everyone loves to eat, be it kids or adults and for this very reason it is considered as the business with least risk involved. These are sold nationwide and its demand is not limited to selected states.One can easily guess from its name that Aam papad is made of Aam (Mangoes) and are in form of papad (poppadom). People in India are really fond of Mangoes. For making Aam papad you will need ripe mangoes. Mango is a seasonal fruit so it is not available anytime in the market. But now-a-days mangoes are imported from other nations. Though these are available only in few markets but still now mangoes are available irrespective of the seasons. If you buy mangoes from market or street vendors then it will be costly. So to avoid that extra cost you should try and buy mangoes directly from the farmers who sell their mangoes in the market.By doing so, you will get mangoes at reasonable price. Mangoes are never priced the same always but on an average mangoes cost Rs 30 to Rs 50 per kg. So you should buy the mangoes from the farmers who grow it in their farm. Sugar is also used for preparing Aam papad. This is used for sweetening the Aam papad. You can also use powdered sugar instead of sugar. You will get sugar at any store. On an average 1 kg sugar costs anywhere between Rs 30 to Rs 40. We need butter for making Aam Papad. Using clarified butter is a better option. Normally 1 kg butter (ghee) costs between Rs 400 to Rs 500. You can buy it any general store. It normally costs around Rs 14 per kg. No matter if you start Aam papad making business at small or large scale; you will need proper machinery for it. With the help of these machineries you can easily manufacture Aam papad. One can also easily pack papad with the help of machinery. It is time saving and also provides work efficiency and effectiveness. Firstly peel the cover of the mangoes. Make sure to peel off the mangoes nicely because if not done nicely the mangoes will not fester properly and this will result in bad Aam papad. After peeling the mangoes cut it into small pieces. Then put the mango pieces, sugar and black salt into a mixer and grind it till everything is mixed properly and a paste is formed. After it put the mixture through a sieve and press it and then the juice that is obtained from it is supposed to be put on the stove and heated. Heat it for at least 10 minutes and once done turn off the gas stove. Now spread butter on a plate and then pour thickened mango juice on it and spread it evenly. Try to spread it in a form of thin layer. After it keep that plate in sun for 2 days. After 2 days it will dry up. Cut it into pieces with a knife. Aam papad is ready. Pack it into a plastic wrap and they are ready to be sold. You will need a thin transparent plastic for packing Aam papad. Also you will need a label to stick on that packet for company name. Both the things are to be bought from the market. The name of the company and other related details can be get printed from any print company. You should decide beforehand that in how much quantity you want to sell per packet of Aam papad. Whether it will be 100gms packet or 50gms or any other quantity is to be decided by you. The sale of any product is directly proportional to its price. So you must give a good thought for the pricing of your Aam papad. If we talk about shops then 1 kg of Aam papad is sold for around Rs 400. On the other hand 150gms Aam papad is sold for around Rs 130. So you will have to price your Aam papad in accordance with the existing market rates. Once you are settled in the market and form goodwill you can increase the price and earn more profits. How to sell Aam papad? You can go yourself to the shops and sell Aam papad of your company directly. By doing this you will save the wholesale commission and earn more profits. You can open your own shop and sell your Aam papad. You can sell other things too along with it and earn more profits. Today online shopping is at boom. So you can sell your product online and in this way it will also become a means of promotion of your product along with selling and you will not be bound by the regional or geographical limits of the country and will be able to sell in any part of the country. Aam papad is liked by people in other countries too. So you can also export your product. You can export your Aam papad to the Indians residing outside India and this will result in establishing the goodwill of your company. While preparing the plan for the business think of a company name. The name you decide for your company will become the identity of it. So think carefully while choosing a name. After deciding the name get your company registered. Apart from registration our country requires a FSSI license to sell consumable goods. You should get it obtained from the local authorities and also register for GST. You can choose from various available options for the promotion of your company. You can provide few samples of your Aam papad on the shops for free and the shopkeepers can distribute it to their customers and by this people will get to know the taste of your product and they will start purchasing Aam papad of your company. Print media: you can promote your product/company through newspapers and pamphlets. You can distribute these pamphlets through newspapers or through any person. How much expenditure would incur? Depending on the length of your advertisement, the newspaper will charge from you accordingly. To spend less on promotion you can get pamphlets distributed through newspaper. Electronic media is the best medium of promotion. Radio and T.V are included in it. You will need an ad to promote your company on electronic media. Thus this is an expensive medium but yet the most effective. Those who have good knowledge of social media platform can utilize this tool to promote their business well. Either you yourself or through a hired professional can promote your Aam papad through social media. Depending on your level of business the number of employees required may vary. Budget constraint is also a factor. You don’t need much investment to start this business. But you will need some money to purchase the machinery for manufacturing purpose and for this purpose you can take loans from banks. Government has also introduced some subsidy facilities to promote small scale businesses. You can avail there benefits. 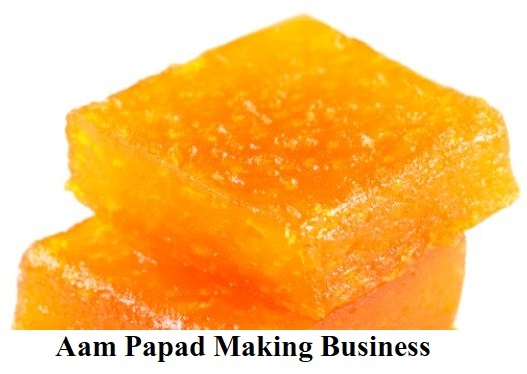 It is always better to get trained in making Aam papad before venturing into this business and once you are threw with it you can start your own business and then train other people for the same. You can also learn from YouTube videos/tutorials that teach how to make Aam papad. You will also be able to learn about this business more through it. Products like “Daal ke papad”, “Chawal ke papad” can also be added to the business in order to earn more profit. You must be very careful in terms of maintaining hygiene while preparing Aam papad as if the consumers find anything odd or unhygienic in your product (for e.g. Hair or any insect) then it will cast a negative impact on your business and they might not purchase your product ever again. Make sure to keep the quality of your product better than your competitors in order to succeed. Sell only fresh Aam papad in the market. The ones that have become old or are no longer fit for eating should be discarded and not sold at any cost as they can be harmful for people’s health. If you don’t want to solely venture into this business then you can always partner up with someone you know or trust. You will have to prepare proper legal documents for the partnership. If you carry on this business wisely and smartly then it can give you huge profits turning out to be a successful business for you. 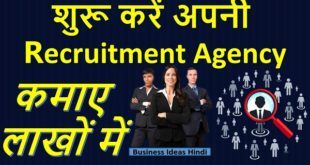 How To LIC Agent Earn Money?